Laboratory for Applied Remote Sensing and Image Processing (LARSIP), is a multidisciplinary laboratory dedicated to the research and implementation of Remote Sensing, Hyperspectral Image Processing, Signal and Image Processing, Geographical Information Systems (GIS),Emergency Response Systems,Global Positioning Systems (GPS) technologies, Applied Electromagnetics and Bio-Optics. An important objective of LARSIP is to create knowledge that are useful in the decision making process. LARSIP is committed to transfer the developed technology. This component has an educational aspect. LARSIP works directly with companies and governments in areas such as project planning and management, environmental characterization, pollution monitoring, and more. The research performed at LARSIP is related with preprocessing, modeling and analysis of data in order to retrieve information. An important objective of LARSIP is to create knowledge that are useful in the decision making process. This implies that a large amount of effort is involved in developing useful products. Important sets of products are algorithms implemented in software packages. Some algorithms are being embedded in hardware systems. Examples of it are: Hyperspectral Data Analysis Toolbox, and Pattern Recognition & Image Analysis Toolbox. LARSIP is committed to transfer the developed technology. This component has an educational aspect. The laboratory trains undergraduate and graduate students in areas such as Remote Sensing, Geographic Information System, Global Positioning system and Image Processing and Pattern Recognition. We also provide continue education through a series of seminars for people in the public and private sectors who wants to be updated in this kind of technology. LARSIP is committed to transfer the technologies to other countries in the Caribbean and South America through seminars, workshops and presentations. The objectives of LARSIP are to develop advanced algorithms and technologies for information extraction and management from remote sensing sensors, and to educate and train students in the different technologies associated with remote sensing and signal processing. LARSIP provides a focus for multi-disciplinary research and education by promoting research and education projects that involve electrical and computer engineering researchers and students interacting with researchers and students in application areas such as marine sciences, geology, civil engineering, and chemistry, among others. LARSIP is associated with the Center for Subsurface Sensing and Imaging Systems (CenSSIS) a National Science Foundation Engineering Research Center, which is an industry/university consortium, lead by Northeastern University in partnership with Boston University, RPI and UPRM. 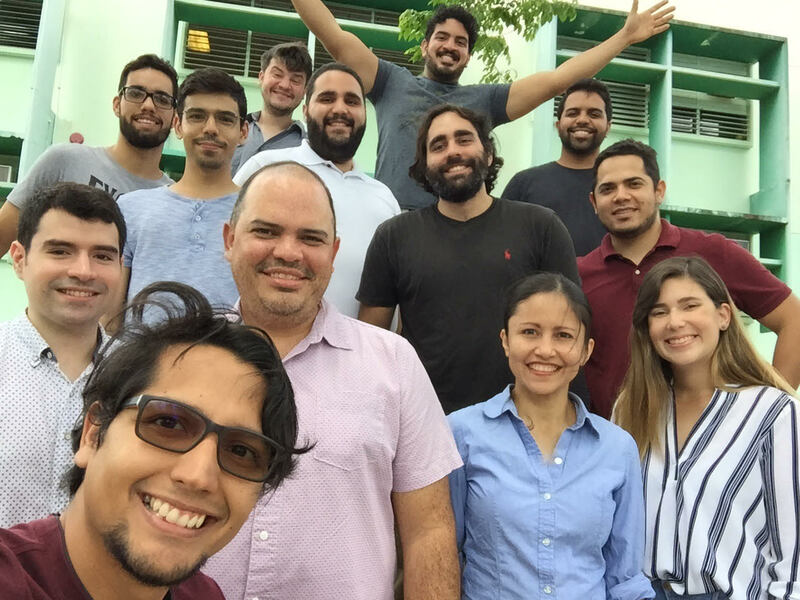 It is also associated with the UPRM Tropical Center for Earth and Space Studies (TCESS) sponsored by NASA University Research Centers Program. LARSIP is a facility located within the Department of Electrical and Computer Engineering at the University of Puerto Rico, Mayagüez Campus (UPRM).